The New Mexico Bird Records Committee (NMBRC) was established to evaluate and archive records of unusual bird species occurring in New Mexico. Formation of the NMBRC was initiated in 1992 and formalized in 1993, and the Committee commenced operations in 1994. The NMBRC follows a set of governing rules and currently consists of six at-large members plus a secretary. 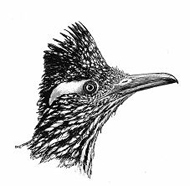 The NMBRC was established with five broad purposes in mind: 1) to solicit and maintain documentation of records of birds from New Mexico; 2) to evaluate and validate such records; 3) to publicize data on records decisions; 4) to establish standards of observation and reporting that would allow sight records to gain acceptance as valuable scientific data; and 5) to keep or cause to keep the official New Mexico State Checklist of accepted bird species. Review List – The most rare species; full documentation for all reports is required. Sketch Details List – Considered less rare than the Review List species, but sufficient details are still required to identify the species. 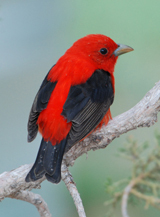 Reports are used by the NMBRC and by the editors of the seasonal reports published in the NMOS Field Notes and the national journal North American Birds. Review ‘How to Submit Sightings for NMOS Field Notes’ for additional information on how to submit a report.